Canadian actress Madeleine Sherwood, best known for The Flying Nun and Cat on a Hot Tin Roof, has died, aged 93. She died on Saturday at her childhood home in Quebec. 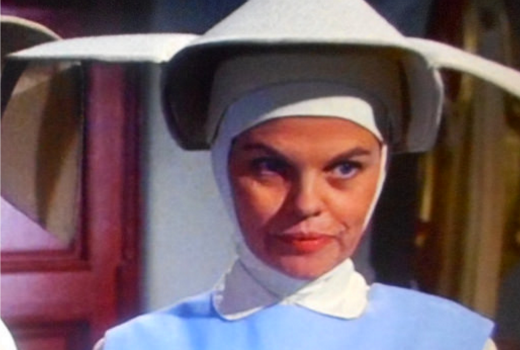 Sherwood played Reverend Mother Superior Lydia Placido on the The Flying Nun from 1967-70, alongside star Sally Field. Her other TV credits included soap operas One Life to Live, Guiding Light and As the World Turns. Film credits included Cat on a Hot Tin Roof, Sweet Bird of Youth, Baby Doll, Hurry, Sundown, Pendulum, The Changeling, Resurrection and Teachers. Sherwood also had a formidable stage career with Broadway performances in The Chase, Arthur Miller’s The Crucible, and Tennessee Williams’ Cat on a Hot Tin Roof and Sweet Bird of Youth. Her other Broadway credits include Camelot, The Night of the Iguana, Do I Hear a Waltz?, Inadmissible Evidence, and All Over. Blacklisted during the McCarthy era, Sherwood was arrested during a Freedom Walk in Alabama in the 1960s and active in the women’s movement in the ’70s.